Home // IFC Features // Holiday meals update! IFC gave out holiday meals to 408 families before Thanksgiving. This means that 1,036 people could focus on enjoying time with family and friends rather than stressing about whether there would be food to eat. Everyone received a turkey, canned goods and - if they wanted it - three types of fresh produce thanks to our partner Farmer Foodshare. Produce options included collard greens, sweet potatoes and apples. IFC will distribute holiday meals again the third week of December. Families have already signed up to receive meals, and IFC depends on community support to fund this effort. To make sure no one goes h, please designate your gift to holiday meals at www.ifcweb.org/contribute. 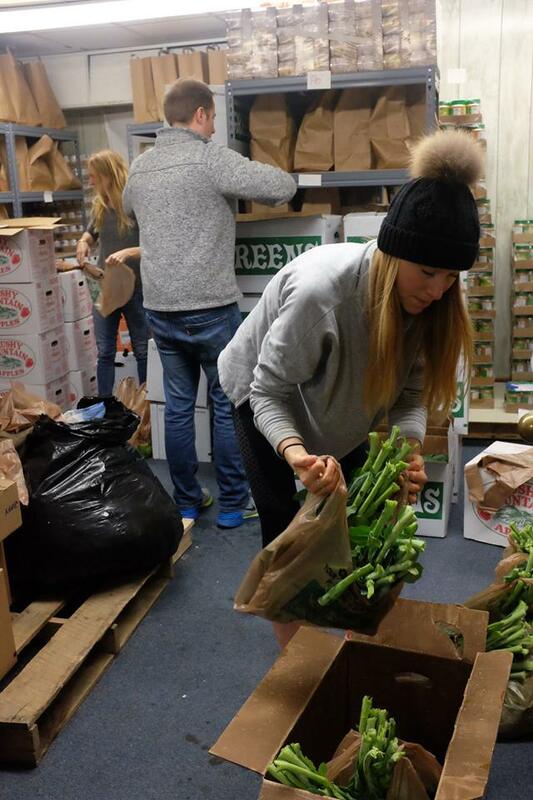 Left: Volunteers from Farmer Foodshare deliver and help re-package fresh produce for distribution.